An old-fashioned love story told through the mastery of one of yesteryear’s great authors. 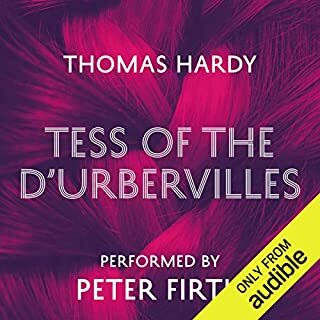 The narration in this version is superb.. very clever range of voices that makes the poetry of Thomas Hardy's work even better. It took me a few chapters to get into the story but I was hooked from then on. Jamie Parker has a wonderful voice and he is very skilled at bringing every character to life. Loved the book, it had a good balance of poetic description and plot development... Made me wish I could express myself in such magnificent language. Some great laughs in it too. Favourite character was the maltster, largely because of the way Jamie narrated him- I could just the crusty old man with no teeth. It more than exceeded my expectations. Jamie Parker does the Wessex rustic voices brilliantly. I would happily listen to him reading any books. Once in a very long while, the Daily Deal serves up something terrific. That used to happen a lot more frequently, but in my view, the quality of the daily deal offerings took a precipitous dive off a cliff at the beginning of this year. There seems to be a lot of junk, trash, and books with lousy reviews. However. 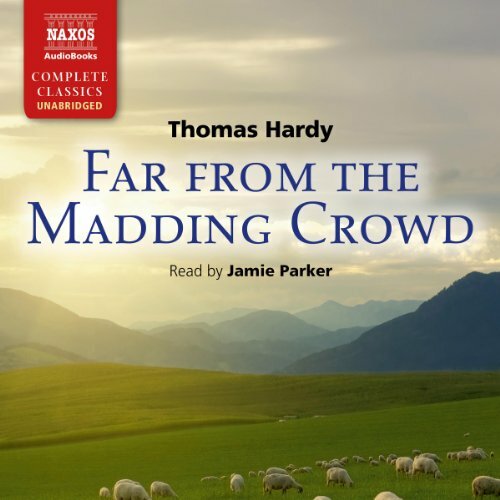 Far From the Madding Crowd, as read by Jamie Parker, has just made up for a couple of months of bad deals (and by the way, this book is very inexpensive if you buy the Kindle edition and then the audiobook). What a lovely book. I'm a big Dickens fan, but this is the first time I've read Hardy since high school. 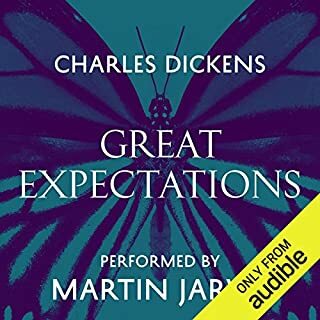 There are many similarities to Dickens here: exquisitely-drawn characters, interesting plot, social commentary, particularly on the status of women, beautiful writing. 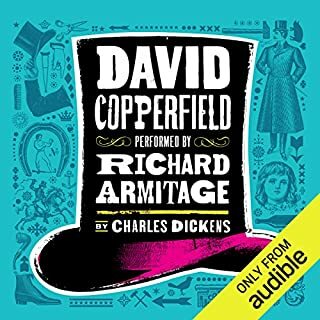 Where Dickens often strays into caricature, however, Hardy avoids that, and in my view, Hardy excels at description. He evokes the landscape so completely and vividly that (yes, it's a cliche, but oh, well) you feel as though you're there. The writing is marvelous. The love story is heartbreaking and compelling, and had me in tears at the end. There is tension and suspense, and they keep the book moving forward. Sometimes you can really tell that Charles Dickens was usually paid by the word. I never felt that with Hardy; each word is carefully considered and the sentences have a beautiful rhythm and structure. Jamie Parker. 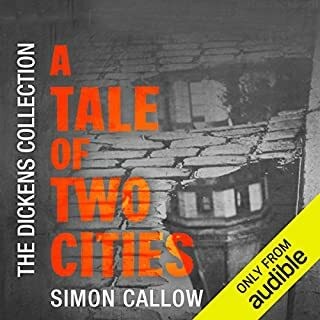 You know how it is when you realize you're on to a terrific narrator and you rush to Audible to see what else he's done – and then discover he's done 9 books, several of which are with multiple narrators . . . please, please, PLEASE get this man to do more book narration. His characters are pitch-perfect, he does women as well as he does men, the accents are great, and he has a fine sensibility for the writing and material. "She was of the stuff of which great men's mothers are made." I'm heading off on a Thomas Hardy binge and have started The Mayor of Casterbridge as narrated by Anton Lesser. Loved this book from the first word to the last one! It goes on my short list of all time favorites books. A Beautiful Classic, Beautifully Read! The problem with having a movie adaptation of a great novel is that many people will never read the novel. In the case of this classic, that is a shame. The story, the characters, the natural setting and the action are all presented in beautiful prose that is rarely heard in contemporary writing. 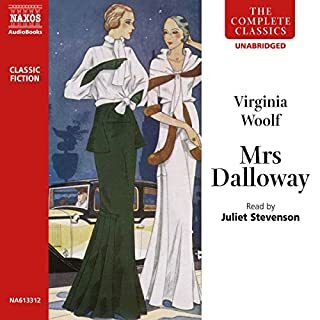 This unabridged release, narrated by the tremendously-talented Jamie Parker, is exquisitely "acted", with each character having their own "voice", and every sentence is phrased in a way that captures the ear and feeds the imagination of the listener. 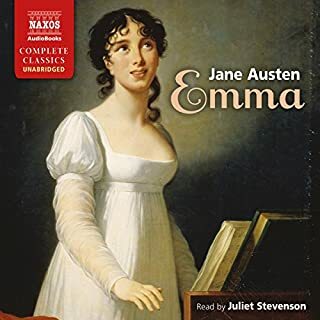 I could not be more pleased with an audiobook, and would have given Parker 6 stars if this were an option! The prose is beautiful and descriptive and I felt transported to the place and time of the story through the excellent voice acting of Jamie Parker. Sorry, I couldn't possibly choose just one. The crafting of the story is even-handed and exquisite throughout. I wouldn't. See my initial comment. 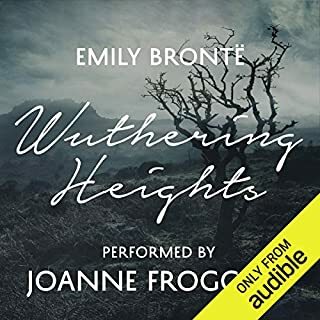 Excellent narrator and great performance of a really great book. 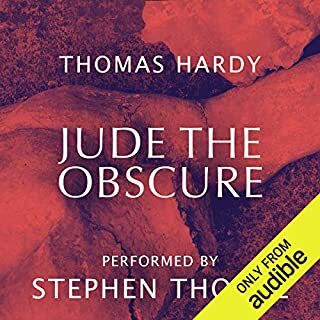 This is a fantastic book by Hardy. 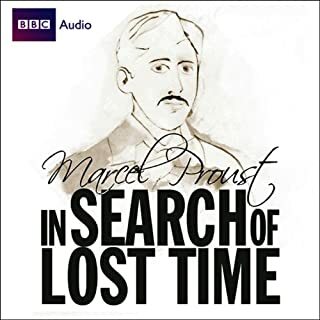 The characters and the story is so captivating that I had several driveway moment when listening to it. Jamie Parker is one of the best narrators that there it is. His voice and accents are so rich that it enlivens the book even further. Truly it is a pleasure to listen to him. This is my favorite of Hardy's novels, because to me it is his most hopeful. Gabriel Oak is the moral center against whom the other characters are measured, but not judged. Oak and his friend Coggin keep the story grounded with their practical common sense view of the world, while still having compassion for those experiencing misfortune, even if they have brought it on themselves. 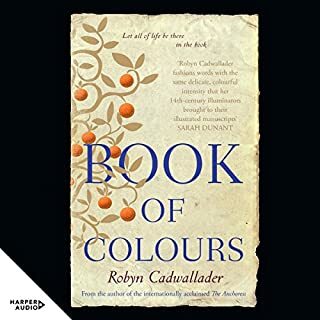 Beautifully written, often with sly tongue in cheek comments, there are some passages that are near perfection - the description of Bathsheba helping Gabriel during the storm is (excuse the pun) electrifying. Fanny Robbins' painful journey is heartbreaking. Bringing this to life is the amazing narration of Jamie Parker. Instilling the wide cast of characters with distinct voices and keeping them consistent and believable is a major feat. 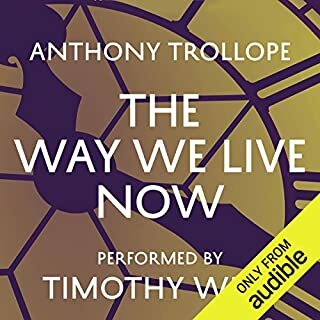 I have not heard him read before, but I am looking for more of his works. This was a real treat and the best possible way to experience an old favorite. This book is so charming. Hardy is a bit long-winded sometimes but in such a beautiful, clever way that it's hardly minded. How I wish I could find more treasures like this that I haven't yet read. Why don't writers care about the sound of the words and the way they are put together anymore? Why can't writers caress the English language like they once did? This reader is superb, as well. So much personality and so much difference in voices and accents between the different characters. And he just... he gets it. I must say that, with future books, it will be hard not to rate the authors' words and compare them with Thomas Hardy's knowledge of a dictionary and his construction of a sentence. 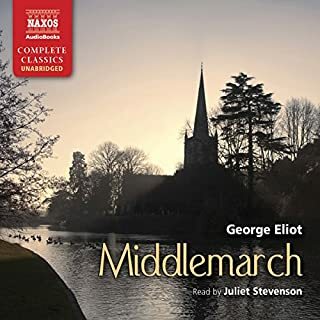 It can be rather simple to narrate the combined works of many characters onto pieces of paper and call it a novel, but Hardy has a lovely style that I'll show presently. In randomly turning to any page in the book I've found the following paragraph: 'At this moment on the ridge, up against the blazing sky, a figure was visible, like the black snuff in the midst of a candle-flame. Then it moved and began to bustle about vigorously from place to place, carrying square skeleton masses, which were riddled by the same rays. A small figure on all fours followed behind. The tall form was that of Gabriel Oak; the small one that of George; the articles in course of transit were hurdles.' Now, if this had been me (or many other authors) I would've said 'Mr Boldwood saw Gabriel Oak and his horse moving hurdles in the hot sun.' See what I mean by eloquence? As for the story, it is terrific! Gabriel Oak is a loveable man who devotes his life to hard work. Unfortunately, one of his herding dogs happens to chase his flock of ewes off a cliff, so he's left without work and he comes to be employed by Bathsheba, a woman that he falls in love with after she saves his life. I rooted for him the entire time, hoping that she would find some sort of romance with him, but, even after she doesn't, his devotion to her as a concerned employee doesn't stray, though she's being courted by an older gentleman after she plays a trick on him and she ends up marrying a gambling drunkard who doesn't love her in the first place. And at this point, the story's not even halfway through! Now, when it comes to Jamie Parker's reading of the novel, I found it spot-on! There were several characters with regional accents that he performed incredibly well. His recognition and performance of the author's words was one for the ages. There was only one thing I didn't enjoy about it, at first: his performance was so accurate that, when whispered words were uttered, it was sometimes difficult to hear on my laptop. But this was quickly remedied with the use of headphones, and his performance was enjoyed exponentially more! Well done, sir! 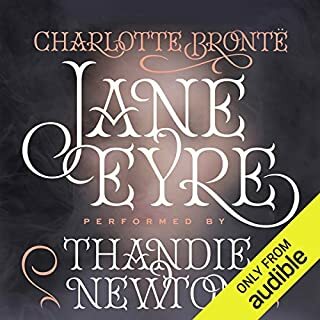 Jamie Parker is the BEST narrator (I've listened to 190 books. There could be someone better out there, but I have not heard him/her.). His narration made the story even more enjoyable, and the story is riveting in and of itself. Out of curiosity, I listened to the same book read by someone else, and it just did not have the same allure. Highly recommend this particular version. "In a language which is chiefly made by men"
If you could sum up Far From the Madding Crowd in three words, what would they be? 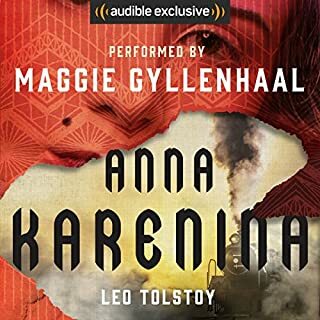 I listened to the book after watching the 2015 movie adaptation. I enjoyed hearing the original story and comparing the differences. The book gives more insight into the background and thoughts of the male characters than the movie. It was fitting to be read by a man. What does Jamie Parker bring to the story that you wouldn’t experience if you just read the book? Jamie Parker's accents for the townspeople were wonderful. Since the book delves into the emotions of the three men pursuing Bathsheba, it was wonderful to have him voice their characters and thoughts. The scene in the book (that is not in the movie) I found moving takes place when Gabriel is working on the farm for Bathsheba. Gabriel is sheering sheep and Bathsheba is beside him watching and admiring his work. The description of emotions for Gabriel in that scene and the one immediately following are heart gripping. Since the book tells more about the thoughts of the three men, who love her in very different ways and devoted in different degrees, a "reader" is persuaded to care about Bathsheba in spite of her vanities, careless ways and pride. The "reader" sees her through the eyes of the men as lovely, strong and desirable. If the book were to stop half way through, the "reader" would not have affection for her, but see her as a flirt, strong-willed, capable and sometimes impetuous creature. 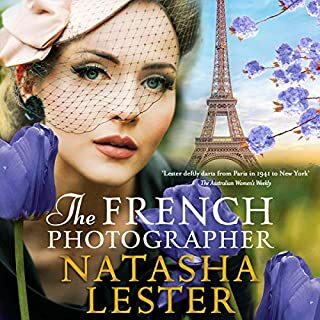 It is not until later into the novel when the harsh realities of Bathsheba's choices catch up to her and she is humbled underneath it all, that empathy is felt for her and the "reader" truly roots for her to find happiness and her strength again. If Thomas Hardy is not exactly one of your favourites among the Nineteenth Century's Literary Greats, the narration of this novel by Jamie Parker will change your mind. Promise. This book was brilliantly read and i found myself totally immersed in the story. Loved it. loved the narrator's ability to change his voice to suit the personalities. I read the book at intervals too and could hear his voice! This wonderful story was narrated to advantage by the wonderful Jamie Parker! How does he manage all of those wonderful accents?! I shall search for titles rendered even more stunning by this son of RADA. Thomas Hardy is a poet first and foremost. Of this I am glad! His poetic descriptions burst on to the page, bringing nature and its scenery to vibrant life. Colours dance in striking harmony; the anger of the elements ravages crops. We feel it all. We are alternately shocked to the core and cradled by the beauty of his words. I loved it. I was struggling to read the book but this narrator has made into a play. I can't praise him enough for bringing it alive for me. All the different characters and their voices. Really enjoyed it. Well read by the narrator. A good 'Hardy' story with contrasting characters. 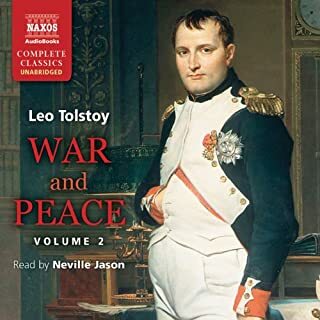 I've never read this one and this audiobook did its job and kept me listening. One of my favourite books. It was really well read and I throughly listening to it. Hardy's use of language and insight into the human psyche are exquisite. Beautifully narrated. Highly recommended. This book is beautifully written with a smattering of wit as it takes you meandering through an exploration of love and human nature, all wonderfully set in a small rural yet mindfully observed setting. An everlasting classic. 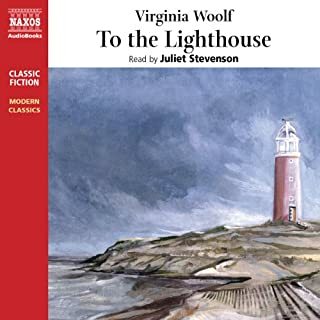 this novel is an old favourite of mine to hear it done incredible justice was delightful! 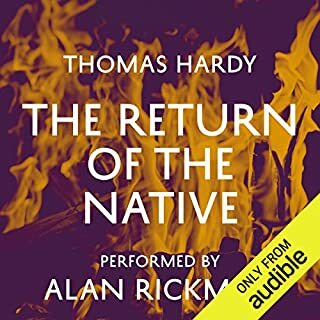 excellent narration, I especially enjoyed the different accents and his ability to give life to the characters.